June | 2015 | PlugInCaroo… Karo plugin… abhi!… save the environment!!! How Does a Grid-Tie Solar System Work? This entry was posted in Uncategorized and tagged FAQ, Inverter/UPS, solar, Solar Products, Videos on June 30, 2015 by PlugInCaroo. Why Petrol Pumps in India are Going Solar? This entry was posted in Uncategorized and tagged Panipat, Petrol Pump, Power-cut, solar, Su-Kam on June 30, 2015 by PlugInCaroo. Su-Kam’ Solar Electric rickshaw… Yeah, let’s solarize! Surprised? Don’t be – because this we can #MakeinIndia . Team Su-Kam has successfully made a solar-powered electric rickshaw which can run longer than ordinary electric/battery rickshaws on the roads of Delhi. Get 30% more output by placing Solar Panels on your electric rickshaw! This entry was posted in Uncategorized and tagged Autorickshaw, Delhi E-Rickshaw, Delhi Rickshaws, electric, Make In India, Rickshaw, solar, Solar Electric Rickshaw, Su-Kam on June 30, 2015 by PlugInCaroo. Are you up for the EV Racing Challenge? Lovely Professional University, Phagwara‎, Punjab, India had organised the Electric Bike Racing Challenge and is now organizing the Indo Asian Solar (car) Challenge (IASC) 2016 both great platform for the students of the University to exhibit their skill and knowledge. This is also a great platform to get experience in wining potential investors or Venture Capitalist. The university has also made good effort in publicity and providing a good prize money (Rs 100,000 to 500,000) as an incentive for the winners. The latest challenge is the Indo Asian Solar Challenge 2016. Today we at PlugInCaroo ask some soul searching questions both from the students and the faculty. With all respect please note that we are not complaining about LPU nor about the students but just asking if we could all together improve the already set standards… not to follow how the solar races happen elsewhere in the world… but to set our own standards which other International Colleges would want to meet? This entry was posted in Uncategorized and tagged Ather, Ather Bikes, Ather Energy, bootstrap, E-Bike challenge, Electric Car race, Funding, Indo Asian Solar Challenge, Lovely Professional University, LPU, Naveen Rabelli, Solar Ahmed, Startup, VC, Venture Capitalist on June 27, 2015 by PlugInCaroo. This entry was posted in Uncategorized on June 23, 2015 by PlugInCaroo. 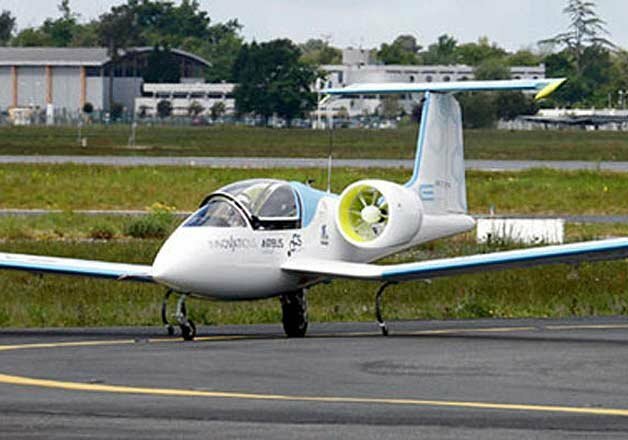 Beijing: China has produced the world’s first electric passenger aircraft to gain an airworthiness certificate. The “BX1E” has a 14.5-metre wingspan and a maximum payload of 230 kg. It can fly at an altitude of 3,000 metres, Xinhua news agency reported. It can be charged within two hours and can fly for 45 minutes to an hour at a maximum speed of 160 kmph. This entry was posted in Uncategorized and tagged BX1E, China, electric plane, first electric passenger plane, Shenyang Areospace University on June 20, 2015 by PlugInCaroo. Audi Q3 Non working Navigation – Reason for Janhvi Gadkar’s Accident? Audi Q3’s Zero Navigation in India – could have been one of the MAJOR reason for Janhvi Gadkar’s Accident! Audi Q3 – Zero Navigation-Navigation option doesn’t work in the India-spec cars. Audi has to tie-up with a local map provider but has it? Come to think of it… the car cost Rs 31 Lakhs but doesnt even come with a basic navigation system… something that is available for free even in Chinese Android smart phones. Something so simple could have saved 3 lives that night – two who died and she -the living dead. This entry was posted in Uncategorized and tagged Audi Q3 Crash, Eastern Expressway crash, Eastern Freeway Crash, Eeco, Janhvi, Janhvi Gadkar, Jhanvi Gadkar, Nouman, Nouman Sabuwala, Sabuwala on June 15, 2015 by PlugInCaroo.